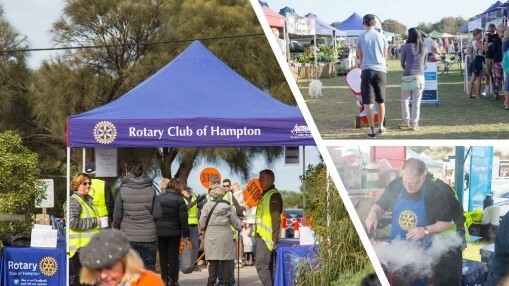 The Bayside Farmers’ Market is operated by the Rotary Club of Hampton and is the main fundraising event for the Club. Volunteers from the Club as well as other Rotary and local volunteer groups, all support the market through their hands-on involvement each month, and the $2 gate donation contributes to funding Rotary and local community projects which make a significant difference to the wellbeing of the local Bayside community. To date, more than $310,000 has been raised since the market was first launched, so you can see what a huge impact this has made. 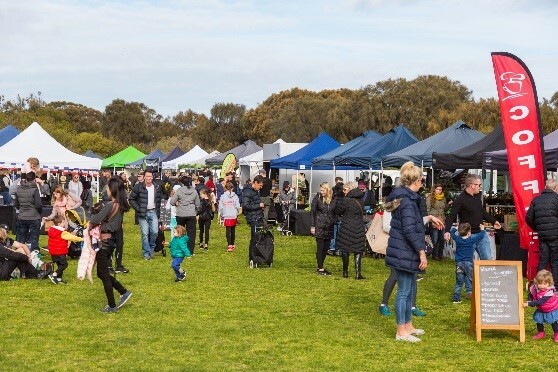 This fabulous market is held on the 3rd Saturday of every month at the spectacularly located Trey Bit Reserve, Sandringham, a picturesque beachside location off Jetty Road near the Sandringham Yacht Club. 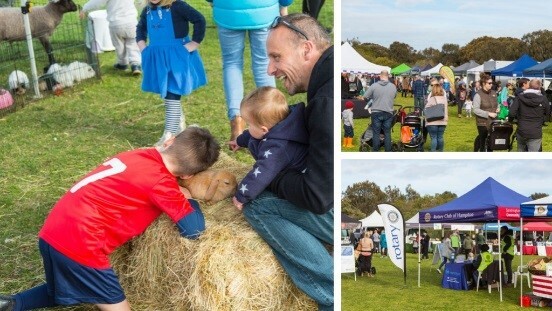 With 75+ stalls selling farm fresh seasonal produce and delicious artisan-made gourmet goodies direct from the very best in local quality growers and producers, this market also offers something for the younger members of the family as well. Children are entertained with activities such as the very popular petting zoo, as well as face-painting.…and even the family dog is welcome too! Come along and enjoy a latte or cappuccino, have a bite to eat, catch up with friends and pick up your fresh produce in this wonderful beachside setting. 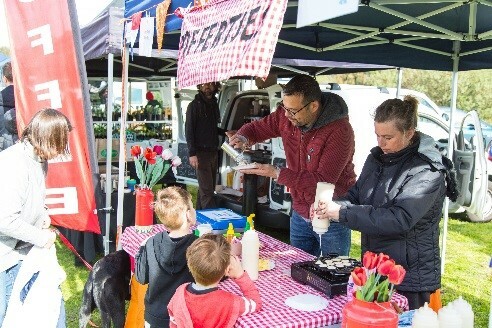 If you would like more information about the market, or would like to be involved, contact our Farmers’ Market Co-ordinator Jenny Fox on mobile: 0411 108 248.